Wolf MHS receiving hoppers are specifically designed and manufactured for each application with the “complete system” design philosophy. Wolf provides truck, rail, barge, and end-loader receiving hoppers. The hoppers may be for unit-train unloading or for single end-loader buckets. The hoppers may be self supporting or hanging. Wolf has utilized many different liner materials over the years, depending on the material and flow requirements. 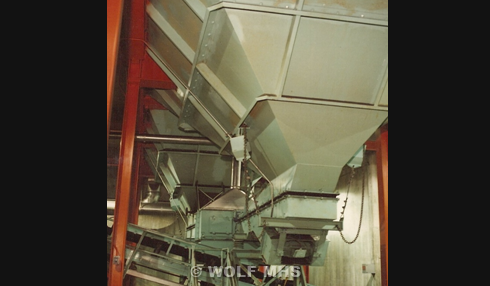 Dust collection is also designed into the receiving hoppers when necessary.